This program is designed for individuals with disabilities who require assistance with daily living skills. 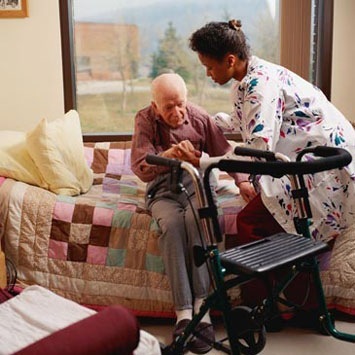 A care plan is developed by the supervising Registered Nurse and followed by all Personal Care Attendants. This program is designed specifically to work with each individuals unique needs so that they may gain the necessary skills to enjoy a regular life with others in their home and community. Each time our staff works with the client in their home; a plan is followed that includes goals and outcomes for daily living skills, communication, recreation, and social skills. This program is designed to assist our clients who have developmental disabilities, have severe physical & medical challenges, or intensive personal care needs. We incorporate a team approach when working with our clients, their family, the county, and others that may be involved. Individual service plans are prepared and followed diligently to provide a fulfilling, happy, normal life for each individual. This program is designed to give family members of our clients the time and temporarily relief of stress they may experience while providing extra care for a child, young adult, or an elderly family member. This program is designed to help clients and their families with additional assistance that may be available in their communities that they may not be aware of. For instance, after school programs are offered to developmentally delayed children at Bridge View School in St.Paul. This program helps to alleviate the parents' concerns during the child's non-school days. There are also plans for adults. One such program is Wingspan; which gives adults, who receives PCA services, time away from home so they can socialize with other adults who may share the same interests, activities and concerns.